US “Stop Tax Haven Abuse Act” Names & Targets Barbados – Has David Thompson Actually Read The Legislation? … from the Barbados Advocate article Barbados Is Safe! According to David Thompson, Barbadians have nothing to worry about when it comes to the new American “Stop Tax Haven Abuse Act”. You see, the Prime Minister “feels” that the legislation is not aimed at jurisdictions like Barbados. Perhaps Prime Minister Thompson had better read the American legislation and speak with the authors — who originally included a Senator named Barack Obama — because unlike David Thompson, those authors and the Internal Revenue Service “feel” that Barbados is an offshore secrecy jurisdiction and tax haven and they have said so in writing. ‘‘(E) INITIAL LIST OF OFFSHORE SECRECY JURISDICTIONS. Why Should The United States Trust Barbados? If you take emotion, patriotism and sheer will to survive out of your normal Bajan reaction to the US anti-tax haven legislation, you must admit that Barbados neatly fits the definition of both a “secrecy jurisdiction” and a “tax haven”. As well as the United States, both Canada and the Organisation for Economic Co-operation and Development (OECD) have named Barbados as a recognised “tax haven”. What defines a “tax haven” and “secrecy jurisdiction”? If you read the US and Canadian government reports and other materials freely available on the internet, you’ll see that a big part of that definition concerns what a “tax haven” is MISSING in terms of controls, oversight, transparency and rule of law. These missing structures allow what President Obama defines as “tax haven abuse”. How About Barbados’ Controls, Oversight, Transparency and Rule of Law? Successive Barbados governments have failed to implement even the most basic controls and oversight over offshore corporations and government officials, so why should the United States remove our country from the list of secrecy jurisdictions and tax havens targeted by the new legislation? * Transparency of operations through Freedom of Information Legislation? * Integrity Legislation, Conflict of Interest Laws for Government Officials? (NO! Barbados has consistently failed to compel Barbados corporations to adhere to the law. It is not unusual for records to go missing – even government records – if it is convenient to some of the elites. Even government-owned corporations don’t file records as per the law! Here are some examples of failed oversight regarding corporate records keeping5: Gymnasium Limited, GEMS Hotels, CGI Consumers’ Guarantee Insurance Company, and CLICO for a start. * Requirement To List Beneficial Shareholders of Corporations? (NO! According to the International Monetary Fund Country Report No. 09/19, (link shows all IMF reports) Barbados law does not require the disclosure of beneficial shareholders of corporations. While the Registrar of Companies maintains a register with information on directors and registered offices of companies, there is no legislative requirement to disclose beneficial ownership information. Many Barbados foreigner-owned offshore corporations are “fronted” by Bajans, but the corporate records are kept in another jurisdiction, while the money flows to another jurisdiction like Panama or the Caymans. The true owners of the corporations remain hidden by Barbados law! * Effective Anti-Money Laundering Enforcement? The most telling indicator of how the Government of Barbados views money-laundering, tax evasion and other international financial shenanigans though, is the fact that our country had to admit that the Barbados Anti-Money Laundering Authority Acted Illegally and Without Authority For Two Years. Successive Barbados governments, including the current DLP Thompson government, have deliberately refused to implement integrity reforms because doing so would limit their ability to profit from their public offices. Period. By their actions and inactions, Owen Arthur, Mia Mottley, David Thompson and dozens of other political elites placed Barbados squarely in the target sights of the Obama administration’s “Stop Tax Haven Abuse Act”. How fitting that if Barbados finally does implement ITAL, it will be because the corrupt politicians were finally dragged kicking and screaming to do something decent for the country – by the first black President of the United States of America. First let me say thank you for taking the time to read this letter, I have been watching how things are changing in Barbados but it seems to be only helping the government and the rich. 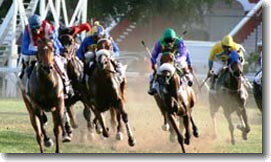 Take for example, on November 20th, 2008, government wrote of a debt of $19.1 MILLION dollars for the Barbados Turf club. Road tax for all private vehicles jumped from $265.00 to $404.01, larger vehicles $1060.00 to $1600.00. Food prices also went up like we didn’t see that coming. With this said, Prime Minister David Thompson, decided to raise the student revolving loan from $50, 000 to $100, 000, which after more than a year still hasn’t officially been implemented. I am one of those whose education will benefit dearly from this. However, each time I call the office they say they are awaiting funds, was the government awaiting funds for the turf club also when they decided to write of their debt of $19.1 million dollars to stay in someone’s good graces? I am sure if any other business operating in Barbados owed that amount of money, would have either been shut down or further more they would not have been allowed to accumulate that high a debt in the first instance. I have also taken the other steps to call the Higher Learning Center (Ministry of Education), which deals with the National Development Scholarship, generally available in May, I was only to be told by staff “Oh dat ent ready yet, call back in June!” The lack of care, customer service, and wanting for this island to be know for its excellence in education and leadership is thoroughly DISSAPOINTING. The Ministry of Education has continued in the past few years, despite which ever government is in, with NOT helping to nurture persons who wish to further their studies overseas and return to develop their country. This government proved that a $19.1 million write off is much easier, than investing into THE FUTURE OF THE PEOPLE IN BARBADOS.